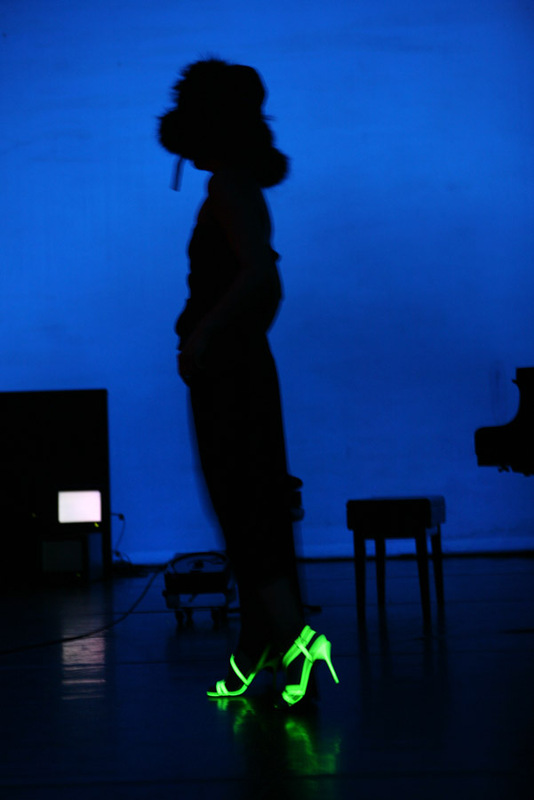 Performance SHOES’ is full of light, fire, music, burlesque and even silence. – Raymond van den Boogaard, NRC Handelsblad, 5 May 2011. As the title reveals, shoes and pumps are the main character in Tomoko’s installation performance SHOES’. Tomoko has a great fascination for physicality and fashion. She stretches the focus of the audience to her feet, to the ceiling and to the monitors on the floor. 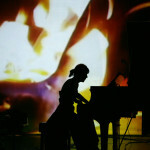 Shoes are the dramatic counter point for the music she plays and performs. Shoes become almost human beings: they dance, they cry, they make love, vanish and die. After the performance the installation is open to the public. 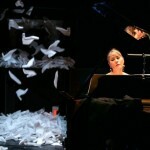 SHOES’ is a piano recital, an installation and a solo performance. SHOES’ is part of Tomoko Mukaiyama’s solo series Sonic Tapestry. 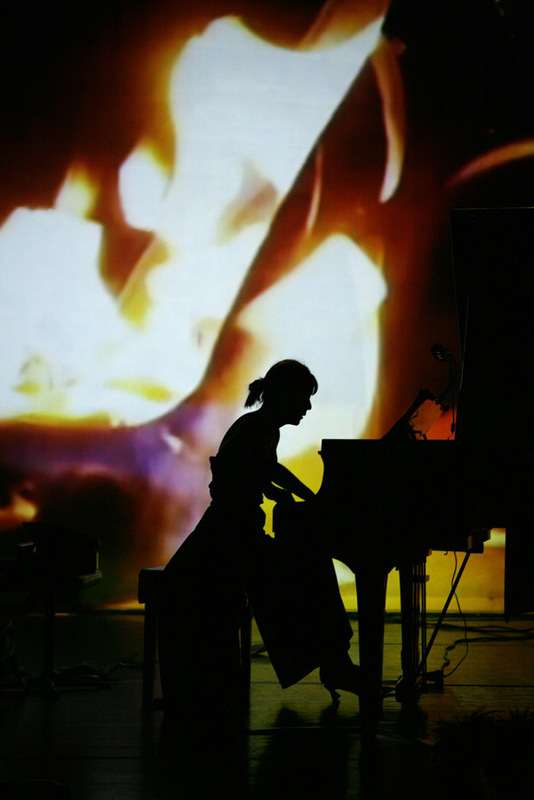 This is part V. Her sonic projects are always presented in a visual environment. 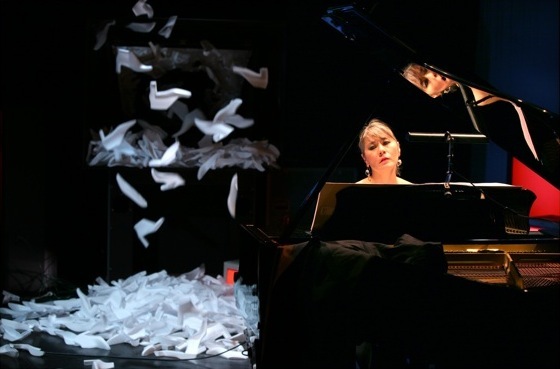 Her collage method of bringing music compositions from different musical periods together is what marks her series. 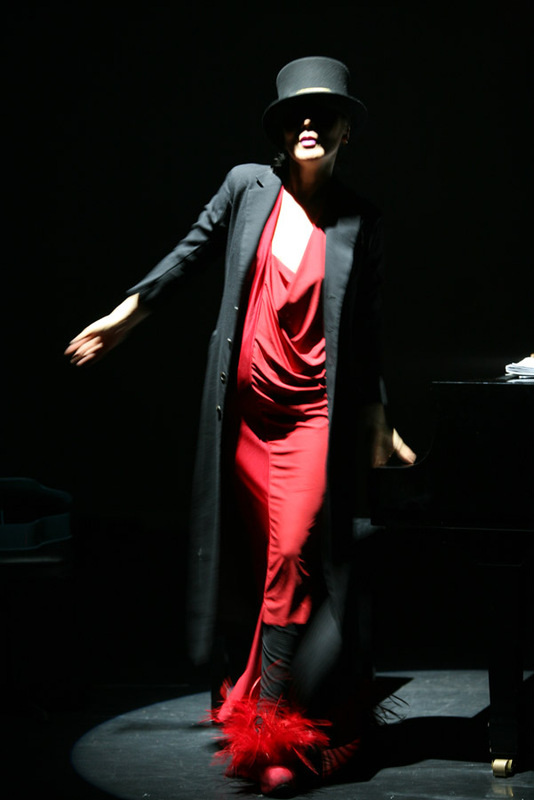 She masters the piano literature from Baroque to the Romantic era and from contemporary minimalism to piano music with electronic accompaniment.